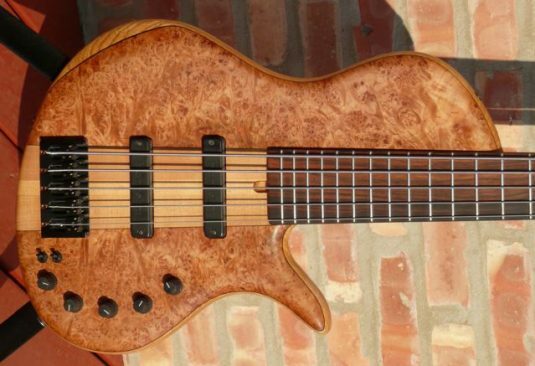 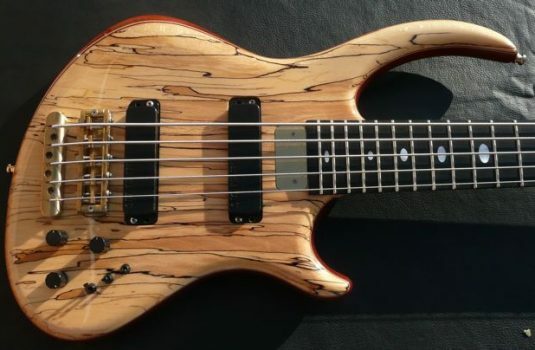 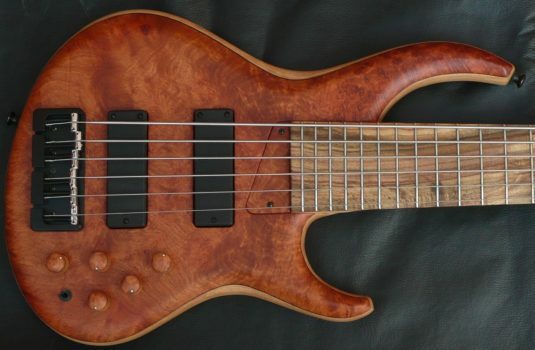 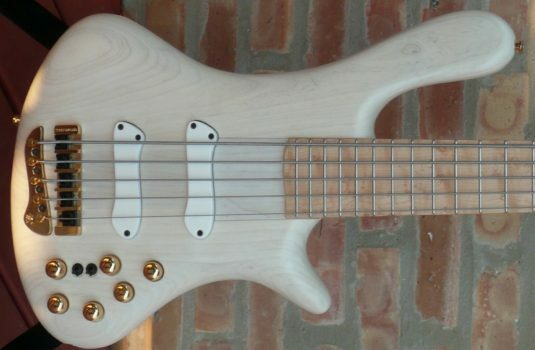 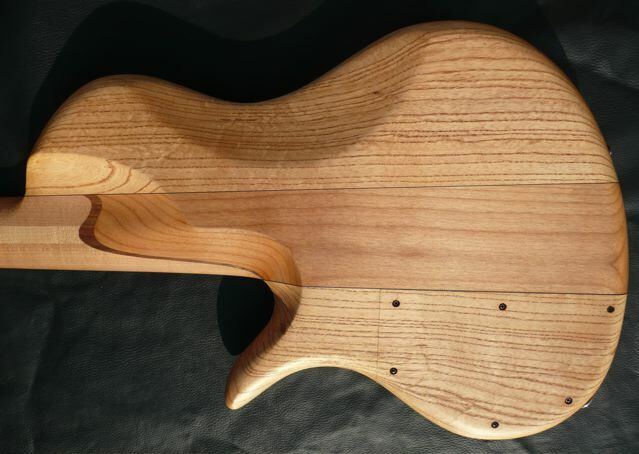 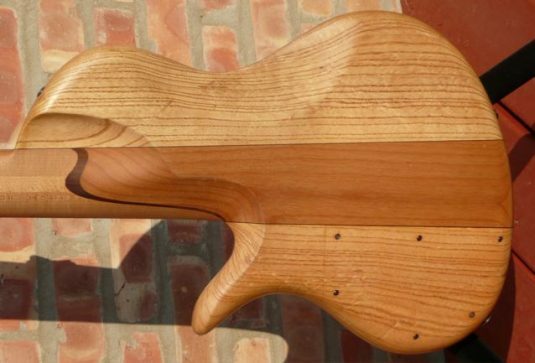 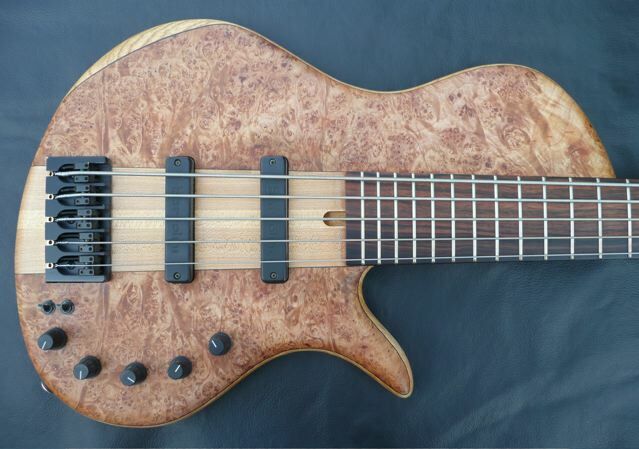 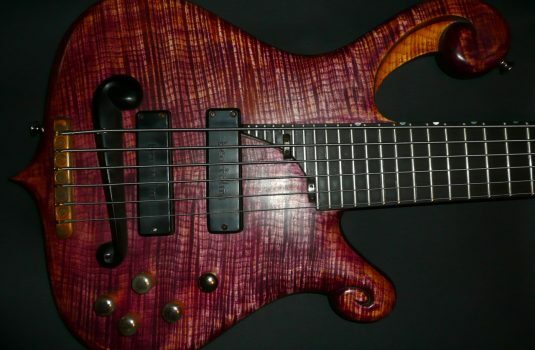 A neck thru by Chicago-based builder Rob Elrick. The body is Ash, the top Burled Maple. 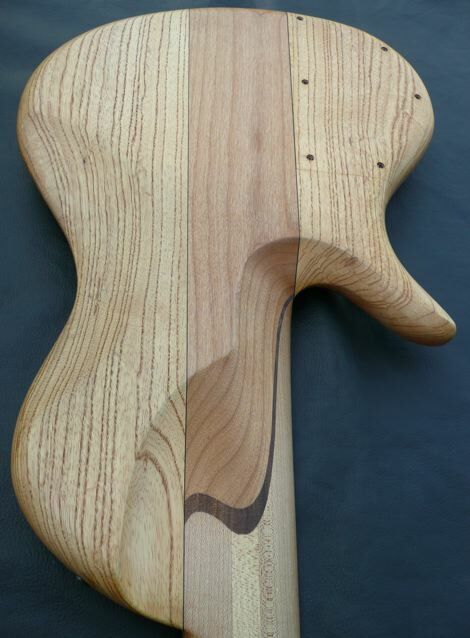 The neck is Maple with a Macassar Ebony fretboard and an Alder center block. 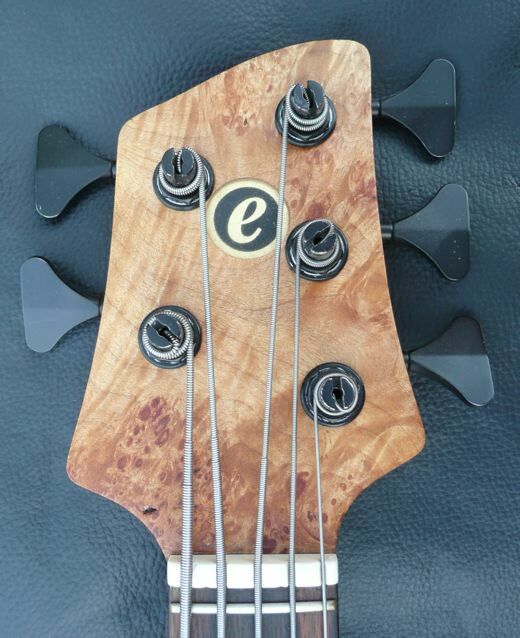 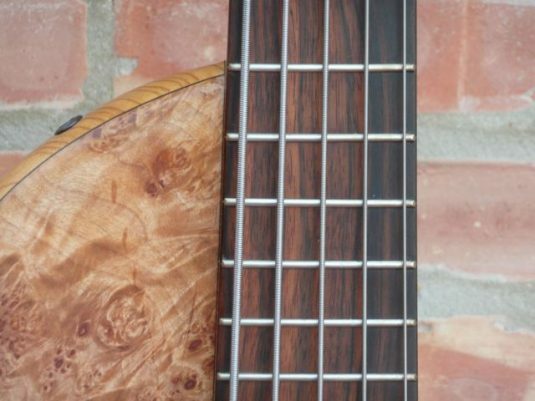 This bass is in excellent condition, plays like butta and it’s light on the shoulder.